Hitting the road for a tour he’s dubbing “The Life Aquatic,” eclectic, poignant, and alternative hip hop artist Vince Staples is set to return to Nashville for the second time ever, and first time in a headlining slot, March 7 at Marathon Music Works. After the recent release of politically charged single “BagBak,” and ahead of new music, Staples seems more relevant and urgent that ever, and along with equally buzzworthy artist Kilo Kish, this should be one of the year’s most essential hip hop shows. Tickets are still available here, but, if you’d rather take your chances, we’re also giving away a pair of tickets to one lucky fan. Read on for a full preview and enter below! Hailing from Long Beach, California, rising young rapper Vince Staples made an early splash due to associations with Odd Future and Mac Miller, as well as his own trio Cutthroat Boyz, and has been met with widespread acclaim as he began releasing mixtapes throughout the last several years. By the time of 2014 debut EP Hell Can Wait, and celebrated 2015 full-length debut Summertime ’06, Staples was a certifiable breakout new star in hip hop, and his latest EP, last year’s Prima Donna, managed to extend what has been an impressive streak, expanding on Staples’ eclectic array of influences and alternative hip hop sensibilities. Bonnaroo appearance last year aside, Vince’s one and only proper Nashville outing was supporting Mac Miller at Marathon Music Works in 2013, so it only feels fitting that he would return to the same spot as headliner, fueled by his newfound and well-deserved critical attention. Staples recently dropped a surprise new single called “BagBak,” ahead of the promise of more new music this year, which showcases a grit, focus, and sharp political bent that feels distinctly different from the bulk of his well-known output. Check it out below! Hailing originally from Florida, alt hip hop/experimental vocalist and multimedia artist Kilo Kish got her start in music while attending fashion school in in New York. Like Staples, she has longstanding ties to Odd Future, working with offshoot The Internet on her buzzy debut EP, 2012’s Homeschool, and counting both Earl Sweatshirt and Matt Martians among the many guests on her 2013 mixtape K+, which also featured Childish Gambino, A$AP Ferg, and more. Kilo’s debut LP, Reflections in Real Time, arrived last year to high critical praise, and between her mounting buzz and high-profile guest spots with the likes of Gambino, Flatbush Zombies, and Staples himself, she’s an absolute artist to watch. Show up early and see what she’s all about! Winner will be announced Thursday, March 2 at 2 p.m. CST, and will receive one pair of tickets. Good luck! Win Tix to Vince Staples at Marathon Music Works! 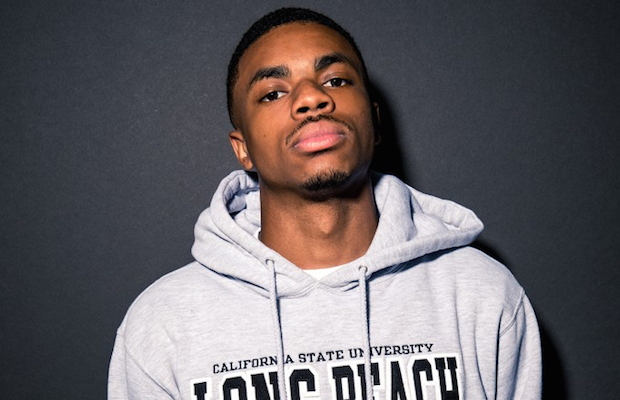 Vince Staples and Kilo Kish will perform Tuesday, March 7 at Marathon Music Works. The show is all ages, begins at 9 p.m. (doors at 8 p.m.), and tickets are available to purchase for $20-25.